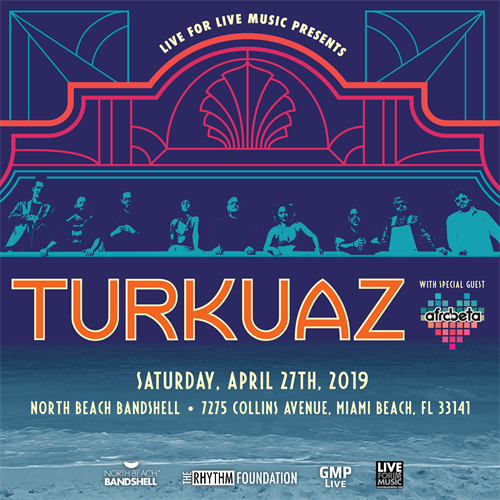 Energetic splashes of funk, alternative, rock, R&B, and psychedelia color the music ofTurkuaz. Balancing male-female harmonies, strutting guitars, wild horn arrangements, and interminable grooves, this spirit takes shape in the color donned by each respective member on stage nightly via larger-than-life performances. The Brooklyn-based nonet ignite an explosion of energy punctuated by neon hues, deft musicality, and show-stopping singalongs on their fifth full-length album, Life In The City.